Are the Storm playing into Smith’s hands? 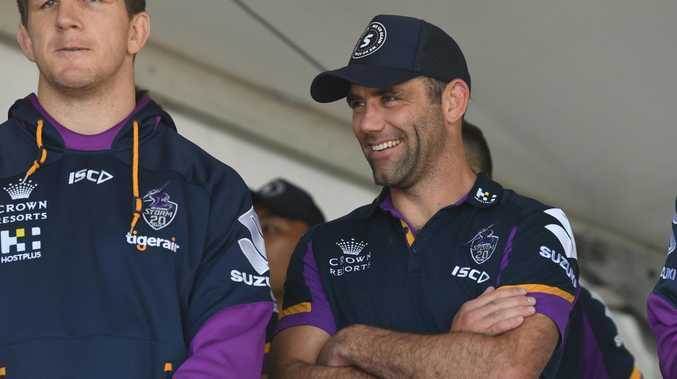 The Cameron Smith contract saga will be over soon but it isn't quite over the line yet, according to Melbourne Storm football manager Frank Ponissi. Ponissi was doing the media rounds to try to ease rumours of discontent from the league legend. After threats of retirement ahead of the NRL Grand Final and protracted contract negotiations, Smith has stayed quiet so far but the negotiations have reportedly come down to Smith securing a two-year deal with the club. Ponissi said there was "no dispute" over whether Smith would re-sign with the Storm on Macquarie Sports Radio. "There's nothing to worry about with Smithy, we'll have a chat I'm sure," Ponissi said. "He's currently on holidays in the US, relaxing he'll be back at training on January 3, there's nothing to worry about." He said Smith was taking a three-month break, the first long break he had taken in his career but added the contract talks were we well down the road. 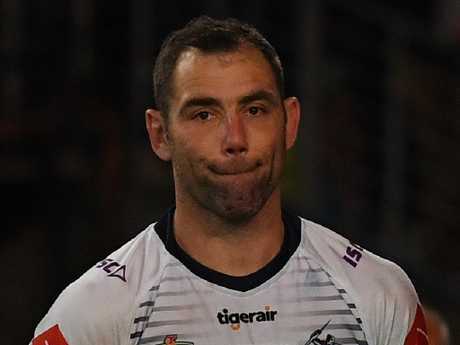 Two more years would take Cameron Smith well past the 400 game mark. The sticking point has been the length of the deal. Ponissi said the deal was always meant to be a one-year deal but after giving up representative football, Smith felt refreshed and began pushing for a two-year stint. "Both Craig and I spent a fair bit of time with Cameron over the summer socially and he's got a great mindset at the moment," he said. "The contract will be done before the third of January, let's put it that way. "It's a positive sign he wants to be playing for two years, we're getting close but we can at least tell all the Melbourne supporters and members he'll be playing for us next year." Ponissi was also on SEN and reiterated the hold up over Smith wanting to extend his career beyond 2019. "At the moment we're working through the contract and probably beyond 2019 to be honest with you, that's probably more the hold up," he said. "There's also been other factors to: there's been a lot of key people involved in the negotiations that have been away at certain times, so as a group we just haven't here all together in Melbourne since the Grand Final. "The contract is in motion as we speak in terms of getting it done and I think there's a few little ends to tie up." A confident Ponissi also told AAP "We know a contract will be done." "Smithy could probably play until he's 50," Munster said. 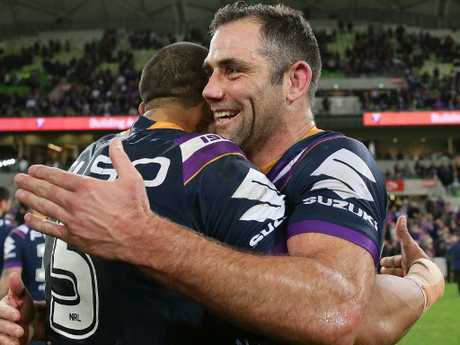 Munster, who signed a four-year extension earlier this week to remain in Melbourne until 2023 said the future is bright at the Melbourne Storm with or without skipper Cameron Smith. "I'm really excited for the new crop of players coming through - we've got some good young talent coming into the team," Munster said. "We've got (Scott) Drinkwater, Ryan Papenhuyzen, some good young halves as well. "It will be a big hole for us but I'm confident with the roster we've got."